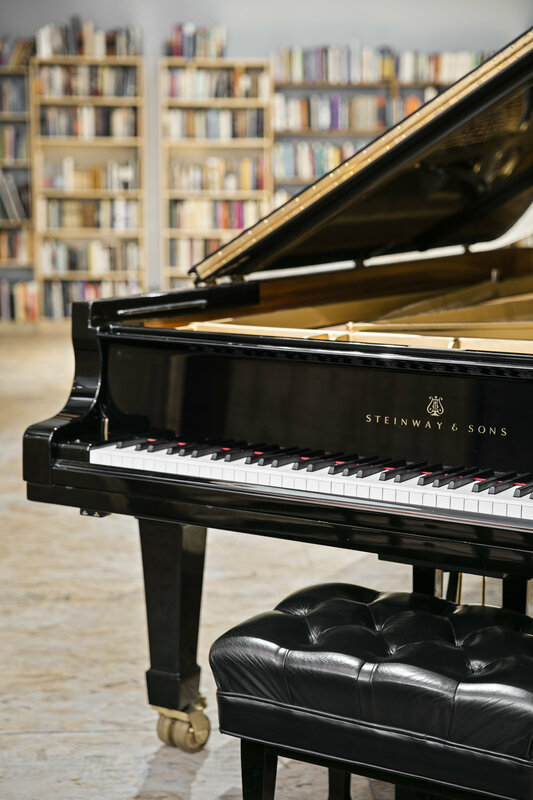 Our gorgeous 1987 Hamburg Steinway D 9' concert grand was rebuilt by Klavierhaus and Arlan Harris in 2009 and is lovingly maintained by Dan Jessie. It's an extraordinary instrument and the centerpiece of our studio. In addition to the Hamburg, we also have a beautiful early-60s New York Steinway D that was recently rebuilt by Ludwig Tomescu and is on long-term loan to Oktaven. Both concert grands are available for use on all sessions.